Just because you wear compression socks you shouldn't be forced to lose your sense of style. Here are some fun styles that are sure to make you smile. 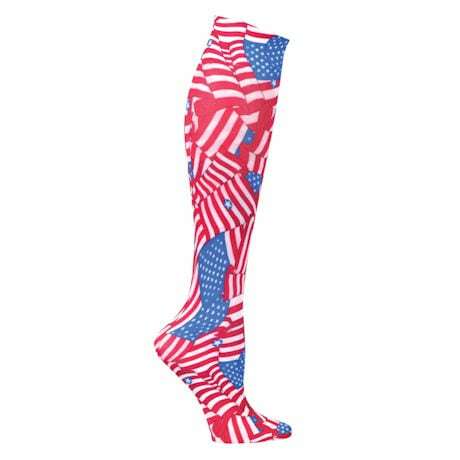 Express your individuality with a pair of our printed compression socks. We've got styles that are perfect for holidays, season of the year, or just fun prints that will be fun all year round. Make no mistake, these are still the high quality, medical grade compression socks that you've come to trust Support Plus to have for you. 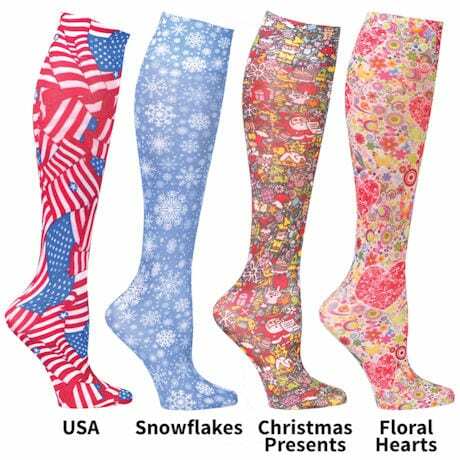 These nylon/spandex blend socks are generously proportioned to fit calf sizes up to 17" and come right up to your knee. 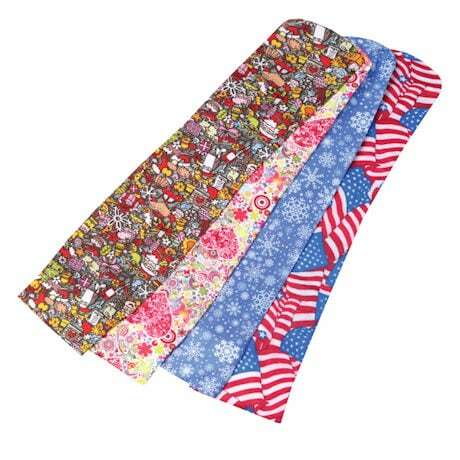 They are also very easy to care for as they are machine washable/dryer safe. One size fits most. Mild Compression 8-15 mm/Hg. Made in the USA.